Bath & Body Works Body Lotion 8 oz/236ml - You choose! BATH AND BODY WORKS DARK KISS. SHOWER GEL 8 FL OZ. ULTRA SHEA BODY CREAM 8 OZ. New ListingBath And Body Works Mixed Lot - New! In The Stars Body Cream - 2.5 oz. Blueberry Hand Cream - 1 oz. Rose Fragrance Mist - 8 oz. Forever Red Fragrance Mist - 8 oz. Enjoy the energizing blend of pink citrus. Fine Fragrance Mist 8 fl oz. Body Lotion 8 fl oz. Shower Gel 8 fl oz. Ultra Shea Body Cream 8 oz. BATH & BODY WORKS FRAGRANCE MIST, BODY CREAM, LOTION, SHOWER GEL X4. Condition is New. Shipped with USPS Priority Mail. 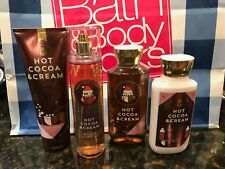 (LOT OF 4 BATH AND BODY HOT COCOA & CREAM CREAMY COCOA, MINI MARSHMALLOWS, VANILLA MUSK. 1) FINE FRAGRANCE MIST 8 OZ. 1) BODY LOTION 8 OZ. 1) SHOWER GEL 10 OZ. (BATH AND BODY WORKS BALI BLACK COCONUT SANDS SCENT NOTES: COCONUT MILK, TONKA BEAN, JASMINE, SEA SALT MUSK, BLACK SAND. 1) FINE FRAGRANCE MIST 8 OZ. 1) BODY LOTION 8 OZ. (LOT OF 3 BATH AND BODY WORKS WILD BLUEBERRY 1) FINE FRAGRANCE MIST 8 OZ. 1) BODY CREAM 8 OZ. (BATH AND BODY WORKS BALI BLACK COCONUT SANDS SCENT NOTES: COCONUT MILK, TONKA BEAN, JASMINE, SEA SALT MUSK, BLACK SAND. 1) FINE FRAGRANCE MIST 8 OZ. HOT COCOA & CREAM. CREAMY COCOA, MINI MARSHMALLOWS & VANILLA MUSK. FINE FRAGRANCE MIST 8 OZ. BODY LOTION 8 OZ. SHOWER GEL 10 OZ. Bath & Body Works. Amber & Argan. Fine Fragrance Mist 8. Bath & Body Works. New Never Used. (1) FINE FRAGRANCE MIST 8 OZ. 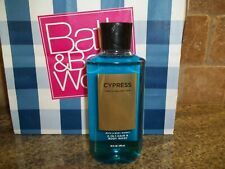 (1) FINE FRAGRANCE MIST 8 OZ. 1) SHOWER GEL 10 OZ. LOT OF 4 BATH AND BODY WORKS IN THE STARS FRAGRANCE NOTES. (5) Fragrance Mist - 3 oz. (4) Body Cream - 2.5 oz. In The Stars Body Cream - 8 oz. Sugar Berry Hand Cream - 1 oz. In The Stars Fragrance Mist - 3 oz. BATH & BODY WORKS CHAMPAGNE TOAST POP FIZZ FINE FRAGRANCE MIST, BODY CREAM X2, SHOWER GEL. 4 items total. Condition is New. Shipped with USPS Priority Mail. NEW!! Bath & Body Works Mineral Co ROSE QUARTZ Body Cream And Fragrance Mist - Full Size Set Rose water, lily petals, and fresh patchouli inspired by love and passion. Zinc and magnesium mineral complex with natural Shea butter for soft supple skin. (1) FINE FRAGRANCE MIST 8 OZ. 1) BODY CREAM 8 OZ. Bath & Body Works Bath & Body Works In The SUN 3 piece Lot Shower Gel Mist Spray Body Lotion New 3 PC TRIO Gel Mist Body Lotion. 1 x Spray Mist (8 oz). 1 x Body Lotion (8 oz). 1 x Shower Gel (10 oz). Bath & body works forever red fine fragrance mist, body cream, body lotion, and shower gel. 1 each. "Forever red is most luxurious and long lasting fragrance forever". (1) SEA MINERAL ALL OVER MIST REFRESH 5.3 OZ. 1) SEAWEED BODY LOTION 10 OZ. 1) SEA MINERAL BODY POLISH DETOX 8 OZ. 1) SEA MINERAL BODY WASH 10 OZ. Aqua Marine. New Bath & Body Works. (1)Travel Size Soothing Body Cream2.5 oz. TRAVEL SIZE 2 Piece Set. All product images might look different on other electronic devices. best to take the best photos possible . BIRCH & ARGAN. Fine Fragrance Mist 8. Bath & Body Works. Body Cream 8. Bath & Body Works AT THE BEACH Body Cream & Fragrance Mist Spray Gift Set. Condition is New. Gift set includes Fine Fragrance Mist (full size 8 oz) and Ultra Shea Body Cream (full size 8 oz) wrapped in cello with a "Sparkle Like Sunshine" gift tag and coordinating ribbon. Fragrance Notes: "A refreshing, vacation-ready blend of white frangipani, toasted coconut and bergamot waters essenced with a cool, saltwater breeze." The Cream is a Full Size 8 oz and the Fragrance Mist is a Full Size 8 Fl Oz. The Nourishing Lightweight Gel Lotion with aloe leaves your skin feeling soft and Looking luminous. Bath & Body Works Gingham Travel Size Body Cream, Shower Gel, Mist. Condition is New. Shipped with USPS First Class Mail. Bath and Body Works Men Ocean set 8 piece Basket. The basket includes 1shower.1 lotion. Nice gift. (LOT OF 4 BATH AND BODY WORKS WILD STRAWBERRY LEAF 1) FINE FRAGRANCE MIST 8 OZ. 1) BODY LOTION 8 OZ. 1) SHOWER GEL 10 OZ. 1 Bottle of Shower Gel 10 FL OZ. 100% Authentic from Bath and Body Works. - 1 Bottle of Lotion 8 FL OZ. Bath & Body Works One In A Million Travel Size Body Cream, Shower Gel, Mist. Condition is New. Shipped with USPS First Class Mail. SENSUAL AMBER GIFT SET. 1 Fragrance Mist (8 oz). 1 Shower Gel (10 oz). BATH AND BODY WORKS. 1 Body Cream (8 oz). BETTER SERVICE. Trending at $23.00eBay determines this price through a machine learned model of the product's sale prices within the last 90 days. A Bath and Body Works Gift Set in the discontinued Dancing Waters Scent. Sadly, now discontinued. 1 X 8 FL OZ. FRAGRANCE MIST. 1 X 10 FL OZ. SHOWER GEL. BATH & BODY WORKS. BODY CREAM. CHESTNUT & ARGAN. Fine Fragrance Mist 8. Bath & Body Works. New Never Used. All bath and body works stress relief eucalyptus spearmint. Two 1 fl oz body wash & foam bath. Two 1.25 oz body bar. Two 1.5 oz cleansing bar. (LOT OF 4 BATH AND BODY CHAMPAGNE TOAST 1) FINE FRAGRANCE MIST 8 OZ. 1) BODY LOTION 8 OZ. PINK CHAMPAGNE, BLACK CURRANT CHAMBORD, SPARKLING NECTARINE, SUGARED MUSK. 1) SHOWER GEL 10 OZ. BATH and BODY WORKS TAHITI ISLAND DREAM Mist,Lotion,Shower Gel Set FREE SHIP! TAHITI ISLAND DREAM GIFT SET. 1 Fragrance Mist (8 oz). 1 Body Lotion (8 oz). 1 Shower Gel (10 oz). BATH AND BODY WORKS. BETTER SERVICE. 10 oz body wash & foam bath x1. 8 oz body cream x1;.